And while you’re out there, take a pic at one of the businesses on our list, post and tag us on Instagram, and you’ll be entered to win $50 to spend at that business. One winner will be chosen on December 10th. Don’t forget, most of these stores have extended holiday hours and exceptional gift wrapping services. Happy shopping! The New England Shopper Tote would be a fantastic gift, thank you very much. 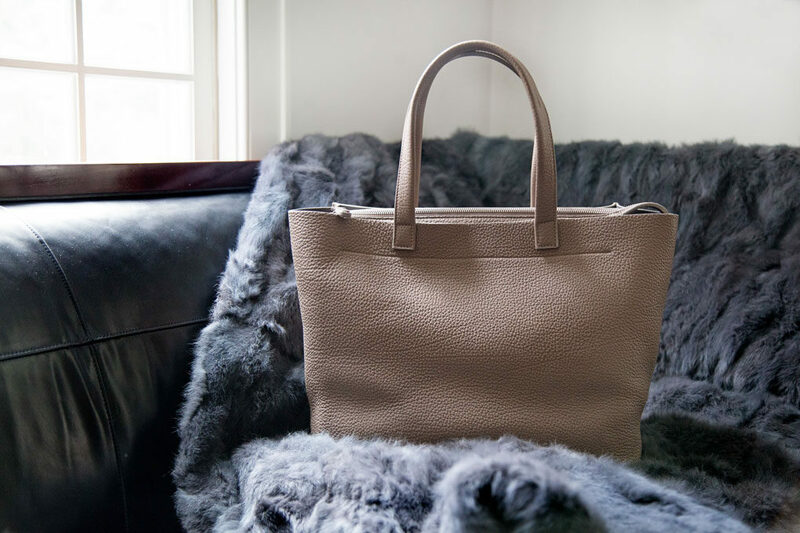 Designed in Connecticut and handmade in Italy, the Grey New York Grey New England line is the result of a lifetime of experience in creative direction, fashion design, and luxury goods. 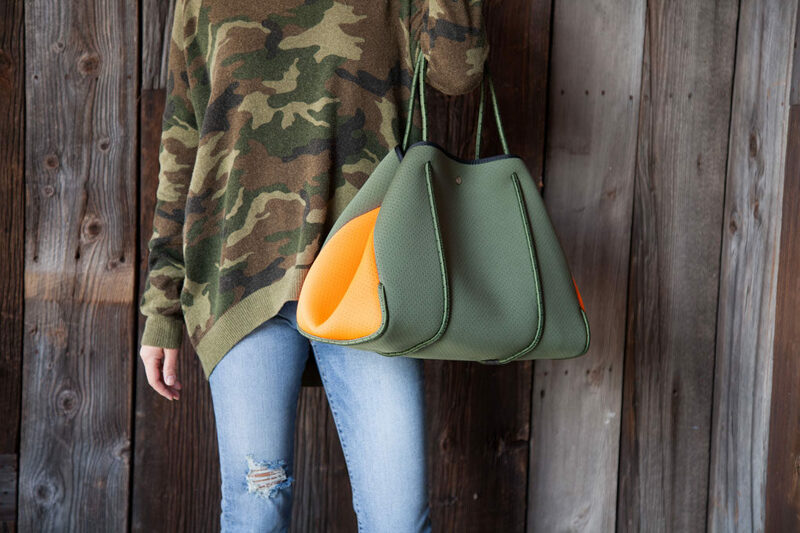 This popular tote is stylish, spacious (we love), and will be cherished for many years to come. Grey New York Grey New England – available at Mis En Scene, 2 Green Hill Road, Washington Depot, and online. 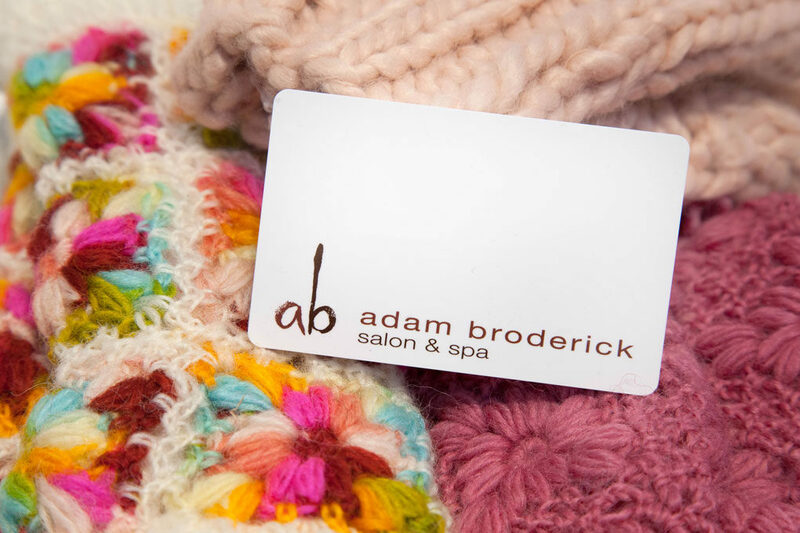 You can’t go wrong with a gift card to Adam Broderick Salon & Spa! 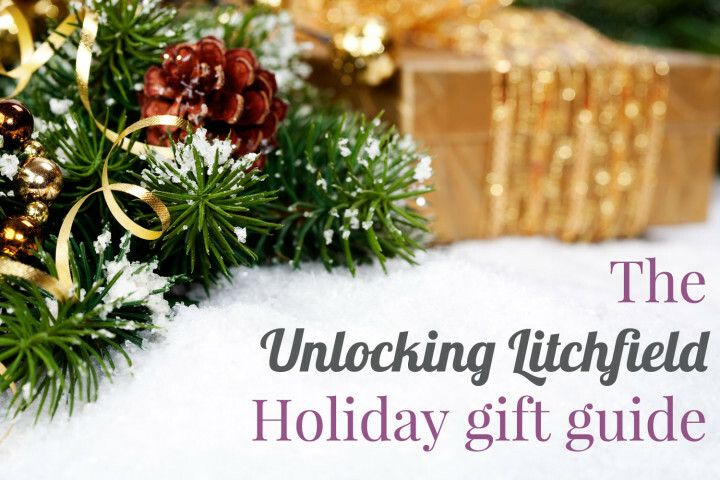 The lucky recipient can spend it in the spa, salon, or the overflowing gift boutique (oh, the boutique!). Right now, for every $175 gift card you purchase, you’ll receive an additional $25 card. Conveniently, you can stop at either the Ridgefield or Southbury locations, or shop online at www. adambroderick.com. For the fashionista family member, go and visit the crew at Shop Cathy B in Woodbury. 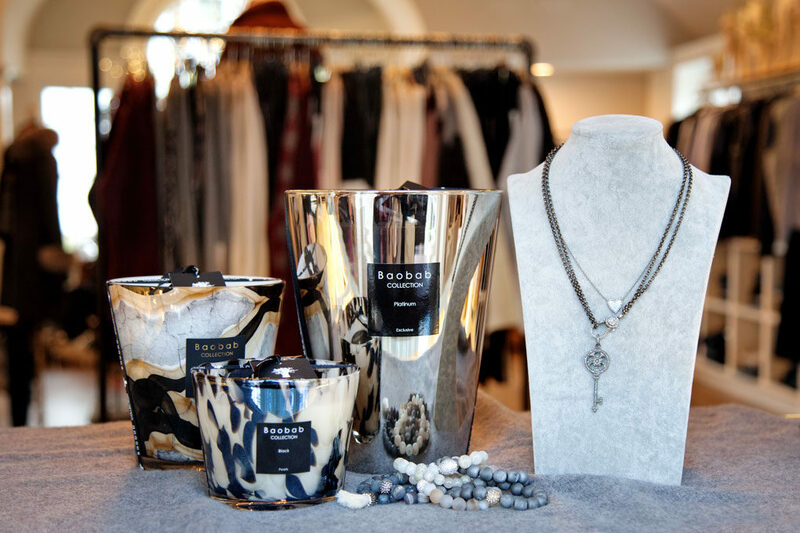 Filled with Boho-global-chic clothing and accessories, you may have a hard time choosing. Cathy and co. can help you pick out a cute bag, perfect sweater, pretty jewelry, or delicious candle. Try not to shop for you while you’re there (or do, we don’t mind). 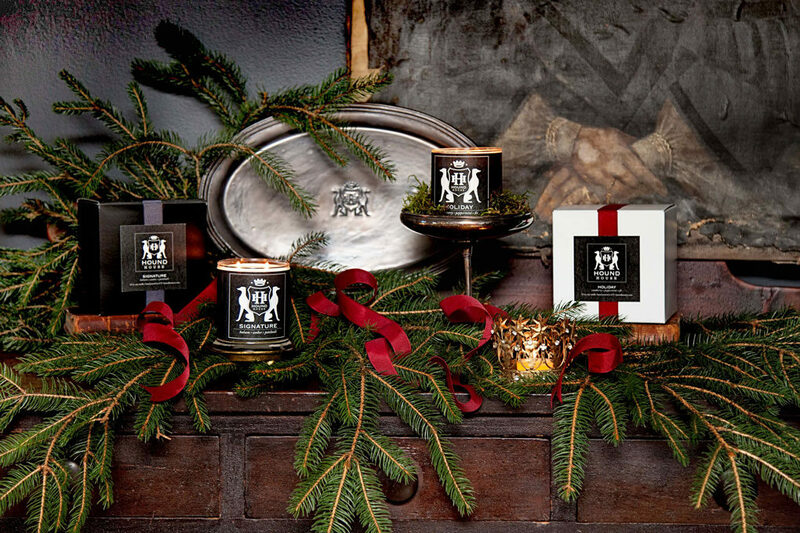 Hound House candles and soaps are an olfactory experience capturing the essence of “Hound House”, a spectacular 1790 farmhouse in Newtown. 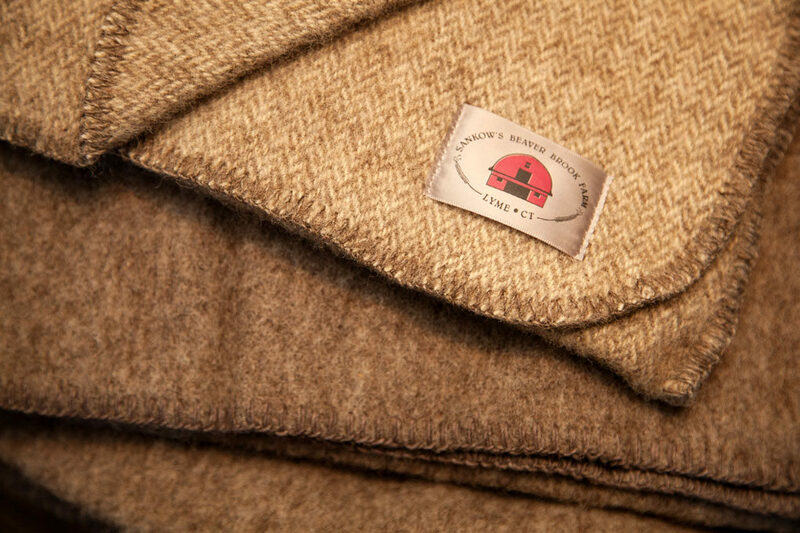 Beautifully packaged, everything is created in small batches and made in Connecticut. The soy candles are naturally scented and provide a clean, long-lasting burn and the soaps smell heavenly. Purchase online here. 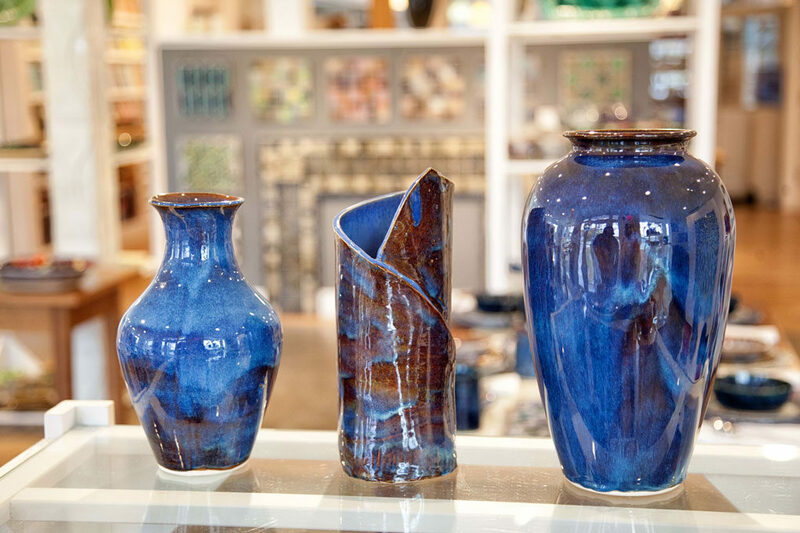 Visit Blueprint CT Home in Bantam to discover a world of handmade, high quality, timeless elements for the home….and to find gifts! 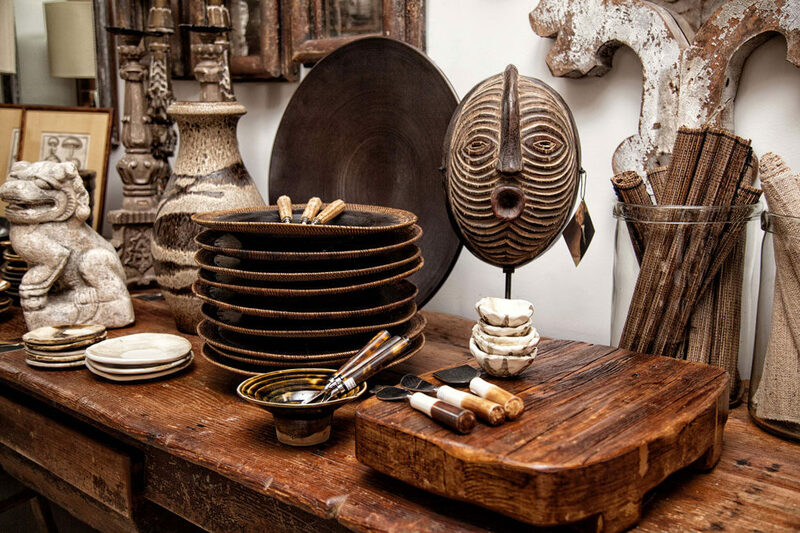 This 4,000 square foot showroom + design studio is overflowing with worldly items you can’t find anywhere else. 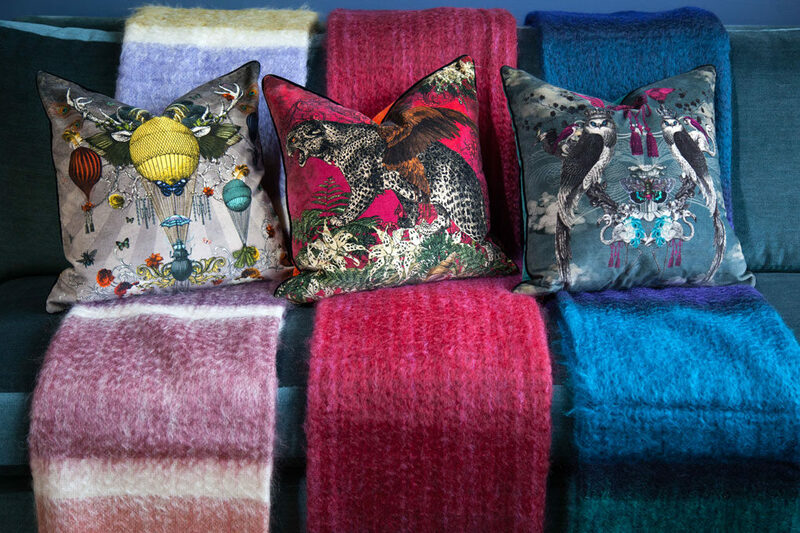 How about these luxurious velvet Santorus pillows and dreamy blankets from Scotland? Don’t mind if we do! Food is always, always a good gift. Especially when it comes in the form of a gift card to John’s Cafe in Woodbury. 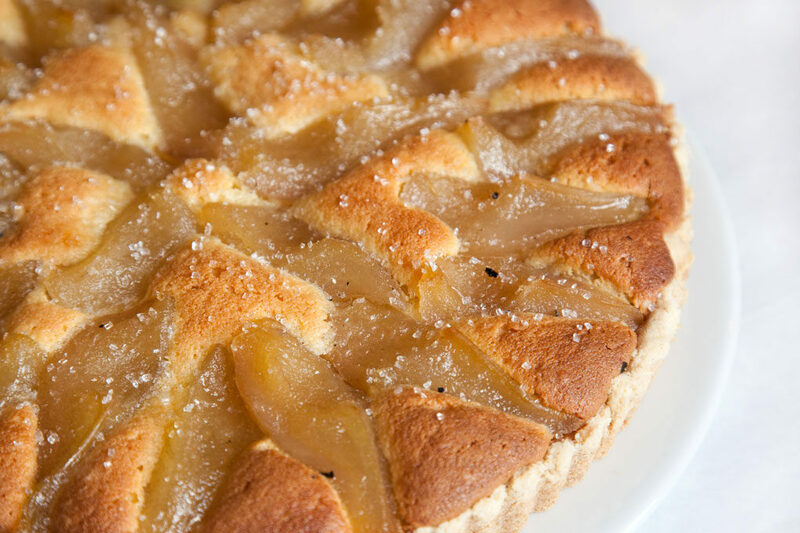 Known for their homemade pasta, freshly baked desserts, and fantastic wine list, we love to stop here whenever we’re in the area. Between Black Friday and New Year’s Day, for each $100 gift card purchased you will receive a $20 voucher to use at a later date. Nice! Elegance, warmth, and beautiful cashmere are the perfect presents this season. Derwin’s defines a chic timeless look that blends country and city sophistication. Enjoy exceptional customer service in this beautiful store in Litchfield, and walk out with your gifts wrapped and ribboned to perfection! 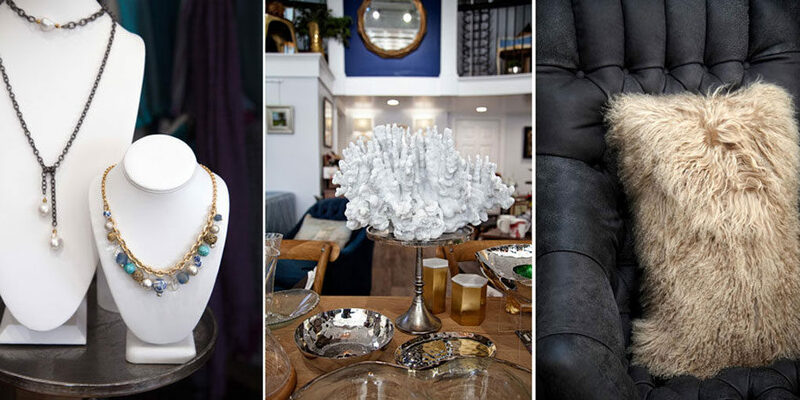 Adore is a bright, beautiful boutique in Mystic filled with worldly treasures. 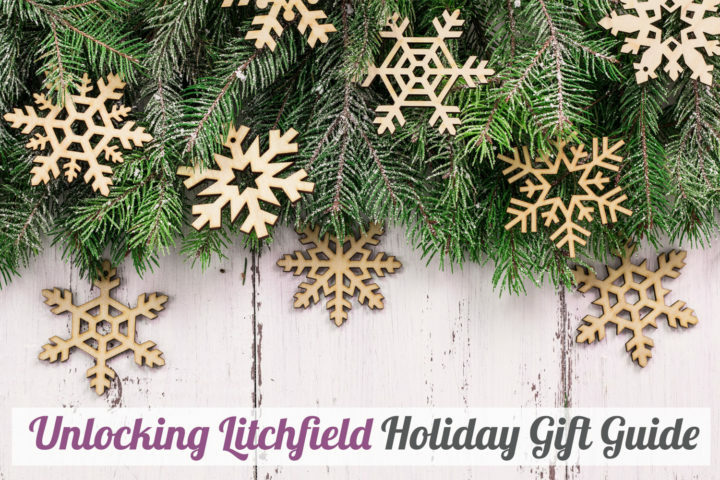 They have an ever-changing inventory of unique gifts sourced from around the globe, candles, home décor, jewelry, small furniture pieces, and more. If you know somebody who loves to entertain, you’ll certainly find something for them here. Looking for beachfront living, keepsake type gifts? You’ll find them here! Not just tiles at Bantam Tileworks! You can see everything being made by hand in the Bantam studio adjoined to their friendly showroom. Every vase, cup, platter, and Christmas ornament (perfect teacher gifts) is glazed to perfection. We swear we can see the universe reflected in their signature finish. Byrde + the b salon in Washington Depot has two special deals for our readers. “The Pretty Byrde” is a day of beauty featuring a Dazzle Dry manicure and pedicure, anti-aging treatment based facial with light therapy, brow shaping, haircut + color, and a waxing service! Holiday Special $500 (value $695). “The Falcon” for him combines a hot shave, facial, haircut, and a glass of Bourbon. Holiday Special $165 (value $200). Perfect brows are in and aren’t going anywhere! 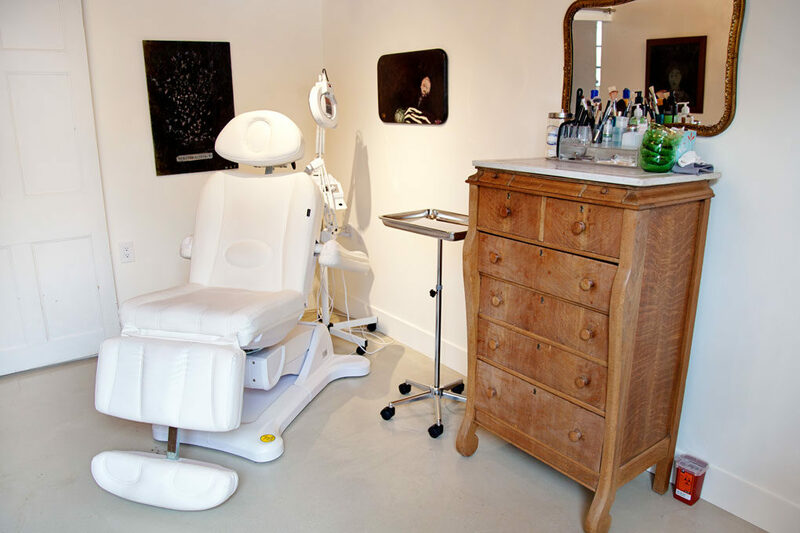 The Eyebrow Queen of Litchfield Pilar DeMann at Byrde + the b is offering “The Brows Have It” – brow rejuvenation microblading, plus a blowout with one of their stylists. Holiday Special $500 (value $650). Also an expert in skin care, try “Skin Glow” – the gift of supple, smooth, and blemish free skin with 10 Celluma LED light therapy sessions. Holiday Special $320 (value $410). Lily Shoes in Old Greenwich is the gift destination for any shoe loving friends out there. This cute boutique is filled with stylish footwear and cute accessories she will LOVE, and at a wide range of price points. There’s nothing like exceptional customer service and the thrill of skipping out of the store with some sweet new shoes. 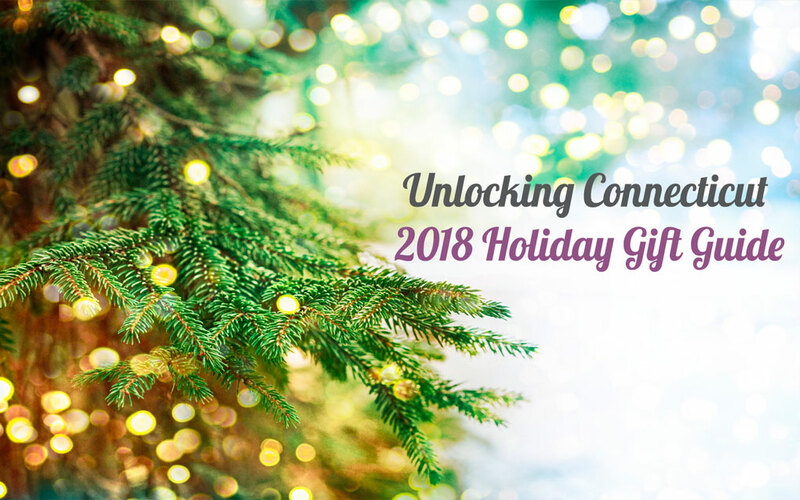 Mention “Unlocking Connecticut” to purchase a 3-pack of Cryotherapy sessions for only $99! Beyond its numerous health and wellness benefits, cryotherapy is now being utilized by medical spas for cosmetic treatments to improve skin health and combat the signs of aging. Stop by Grace Medical in Southbury or call to purchase before December 25, 2018. The gift of health. 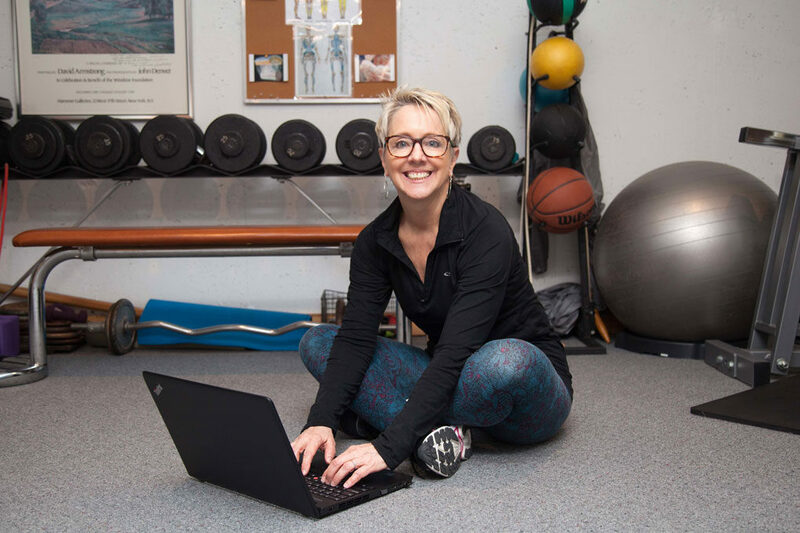 Patti Garland helps women lose weight, get fit, make permanent changes, and transform the way they think about themselves. Sessions can be scheduled in her New Preston studio, or virtually from the convenience of home. No excuses. Fitness and nutrition coaching is available anytime any place. Mention “Unlocking CT” for $100 off any coaching package. 203 885-2020. Shop Saybrook Home Apparel in Old Saybrook for one of a kind, unique artisan jewelry by Janet Greene Designs. 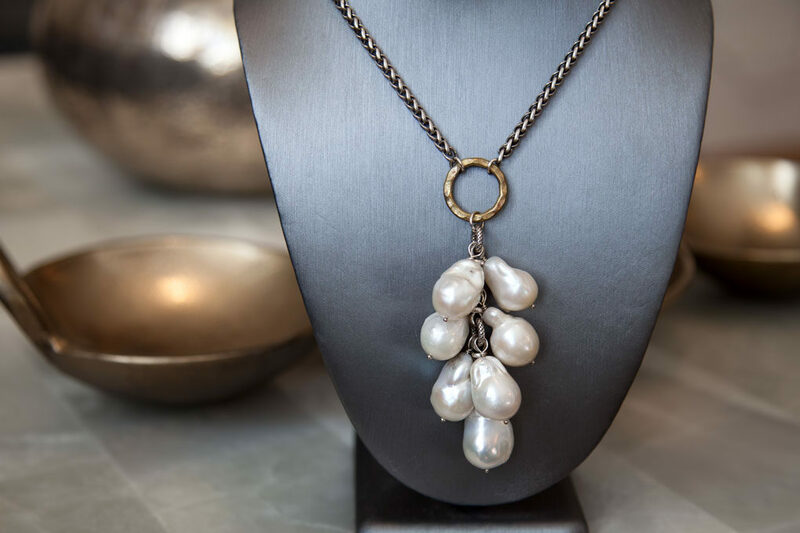 Each piece is designed and handcrafted using gemstones, lustrous pearls, bronze, and silver from all over the world. This is also THE spot to go for beautifully curated designer clothing, from dressy to casual. 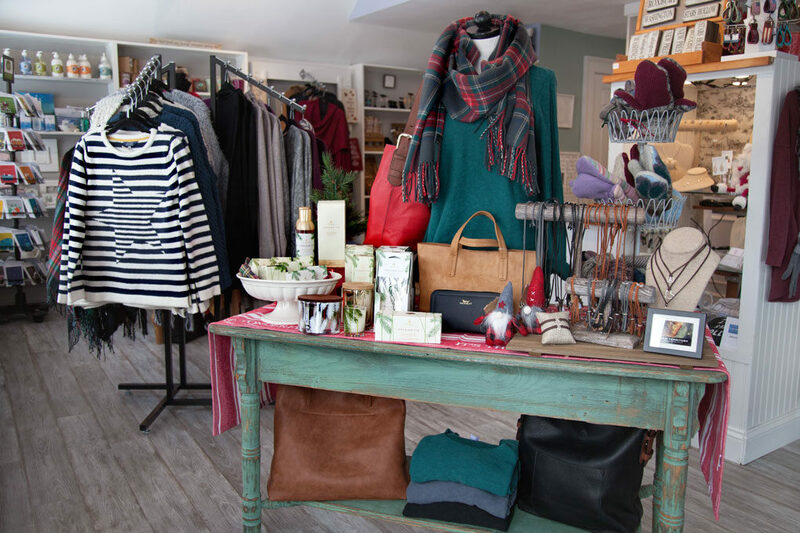 CT shoreline’s finest clothing and accessory boutique makes for a fun and fruitful shopping experience. The Pantry in Washington Depot carries a variety of gift and kitchen wares you won’t find elsewhere, from the perfect vegetable peeler to beautiful Portuguese stoneware, they have something for everyone. In The Pantry, you can find a gift for everyone on your list and order your whole holiday meal while they do the wrapping for you. For your friend who could use a custom consultation to build her own perfect collection of skincare and cosmetics. Send them with a gift card (any denomination) to see Linda who will expertly curate a kit of goodies especially for them. No doubt she’ll enjoy the entire experience with a visit to this super cute studio located in the old jailhouse in Litchfield. This two-story hidden gem in Southbury has a gift for absolutely everyone on your list, male, female, young, old, in-between. 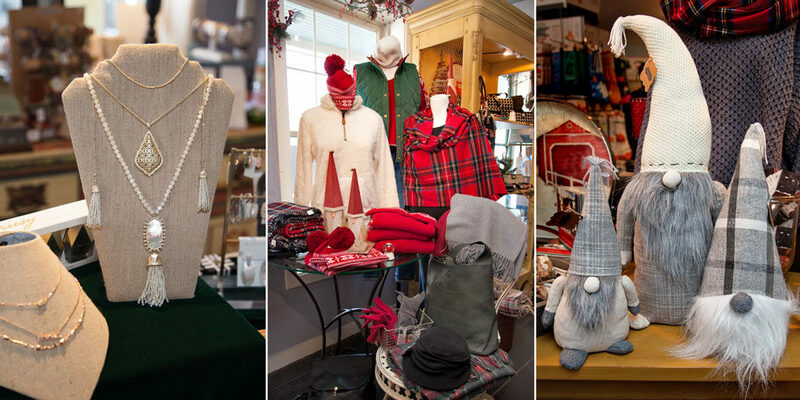 If you’re into one-stop shopping, you’ll be glad you discovered Newbury Place in Southbury. Kendra Scott jewelry, Scout bags, candles, accessories, bath and body, and a wide selection of gifts under $30. Lots of monogram options too. A gift card to Liquid Nirvana is a life changer. The ultimate gift of health and nutrition for your family, teachers, music teacher, dance teacher, school teacher, coaches, stocking stuffers, your college kids, parents, grandparents. You get the picture. 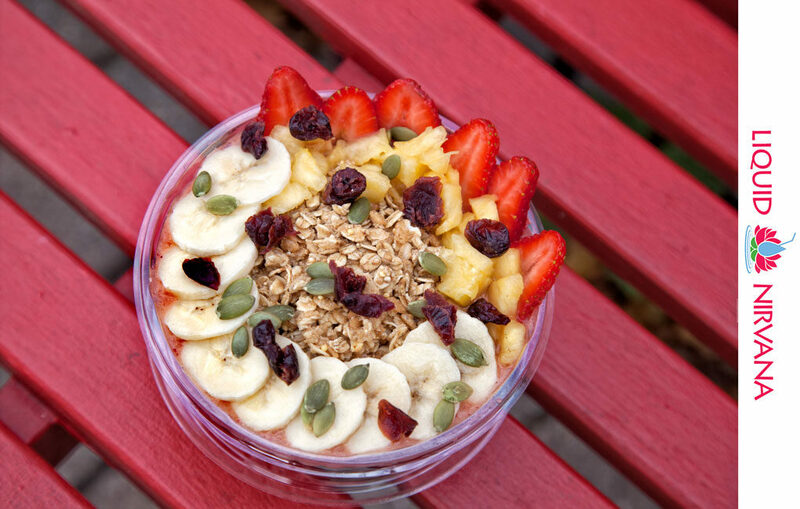 Delish and nutrish! Visit this family-owned business in Glastonbury and Avon. We want the special “Unlocking” packages put together by DPZ – Dawn’s Pizzazz in Danbury. “My True Love Gave to Me“ includes a 60-minute Swedish massage, European facial, Shellac manicure and pedicure – $241.20 plus tax (10% savings). “A Few of My Favorite Things“ includes a manicure, pedicure, and a 60-minute Swedish massage. $134.10 plus tax (10% savings). Ahhhh. These impressive (and huge) Baobab Collection candles at Coco Lily in Avon are no ordinary candles! They’re an olfactory and aesthetically pleasing gift that anyone would love to receive. Everything this beautiful boutique sells (women’s and men’s clothing, accessories, jewelry, children, tabletop) is elevated, with a touch of edge. A great place for corporate gift giving too! 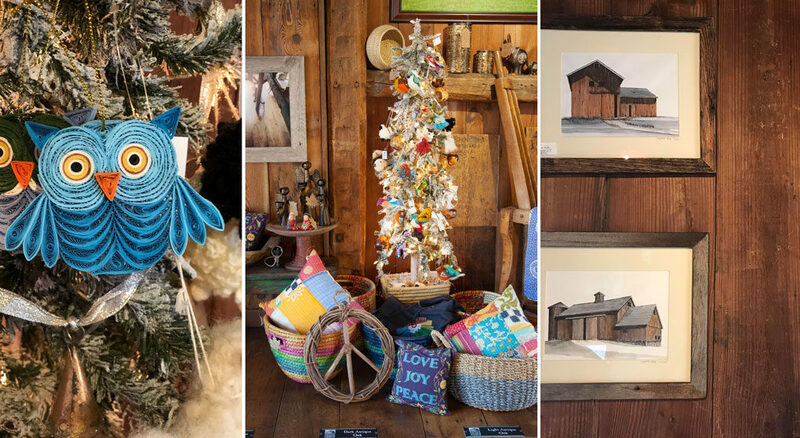 It’s not just antique flooring and lumber at Chestnut Woodworking in the Kent Barns; this store has a charming selection of primitive antiques, eco goods, and holiday gifts. You’ll find lots of unique, locally-made items, art, jewelry, baskets, cute cushions, and more. Essential oil peeps, you’ll find doTerra here too. For that sophisticated someone on your list who loves the unique and unusual, visit George Home in Washington Depot. 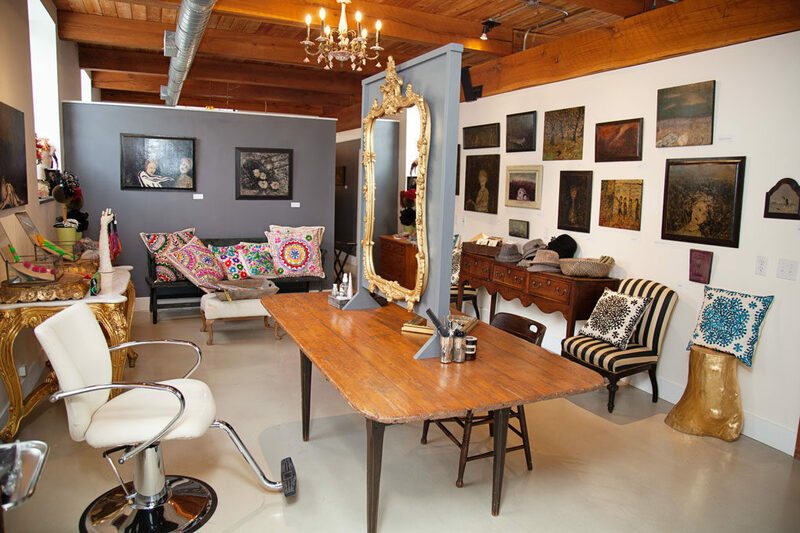 Filled with one-of-a-kind handmade items from around the globe and mid-century modern and antique furniture, you’ll enjoy the experience of browsing this store as you find that special something! 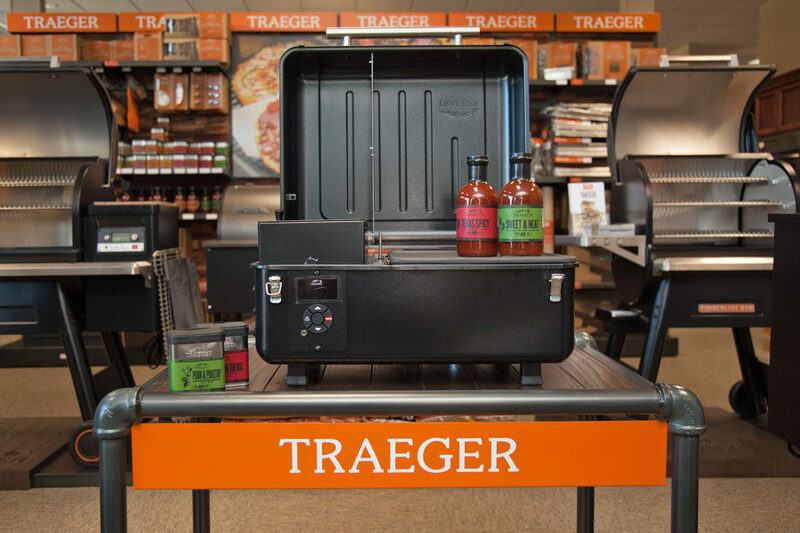 The Traeger Ranger from Powerhouse Kitchen & Appliances in New Milford is a great gift for a surprisingly great price! This wood pellet grill packs up like a suitcase and is completely portable so you can cook a feast anywhere! The Ranger gives precise temperature control with an added keep warm mode to make sure your food is ready to eat whenever and wherever you are. Only $399. Give them a Facebook follow here! Not just a well established and exceptional salon and spa, Joe’s Salon in New Milford also carries a wide range of fabulous holiday gifts she’ll L.O.V.E. 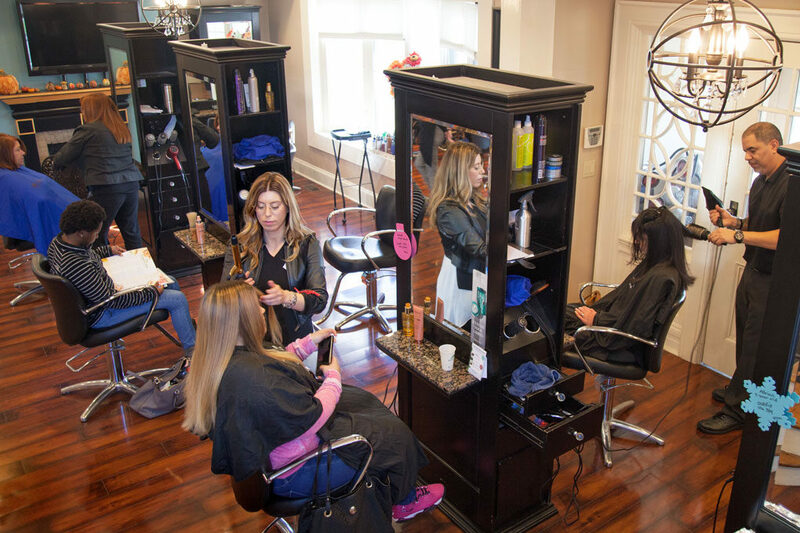 Pictured here on their iconic brick wall (the salon is cutting-edge-modern) are just a few of the pretty things we picked out (and want). 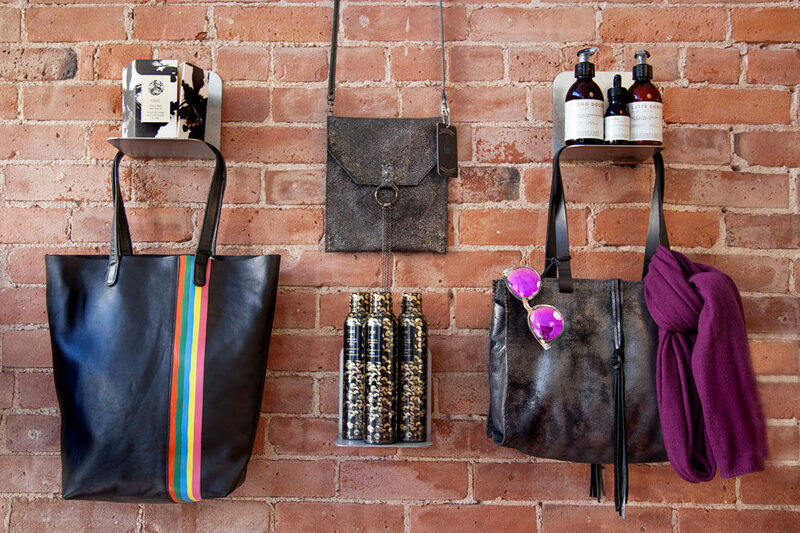 Cashmere scarves, cute stocking stuffers, limited edition Oribe products, and the new Uashmama body line is sublime! 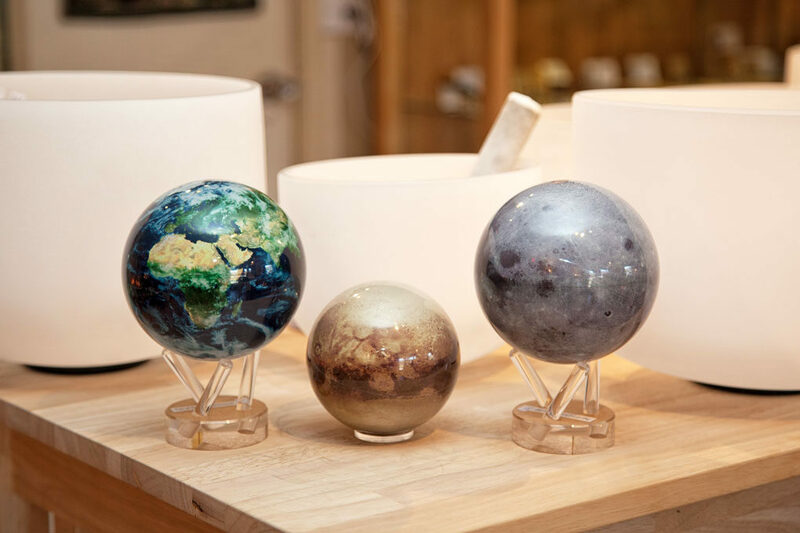 Mother Earth Gallery in New Milford is your go-to destination for the areas largest selection of fine minerals, handcrafted jewelry, chimes, suncatchers, candles, oils, and unusual and unique gifts. How about giving them The Moon, The Earth, or Pluto?! These Mova globes rotate using power from ambient light and torque from the Earth’s magnetic field. Soothing, mesmerizing, and no batteries required. For the foodie, this is a goodie!! We literally dream of Noujaim’s Bistro’s food. Tucked away in Winsted, people come from far and wide to eat at this hidden gem of a Mediterranean restaurant. Everything (and we mean everything) is expertly cooked by Middle Eastern owner-chef, George Noujaim. The Lebanese Feast is a must try. Purchase a $100 gift card and receive a $20 gift card. Go get some quintessential Connecticut at the Hidden Acorn in Woodbury. The retail barn has vintage, antique, and country style home decor, furniture, and custom signs. If you know anyone who loves Flea Market Flip, sign them up for one of their fun workshops in their design studio where they can learn the art of refurbishment. Know anyone who drinks a lot of coffee or wine (we’re both raising our hands)? 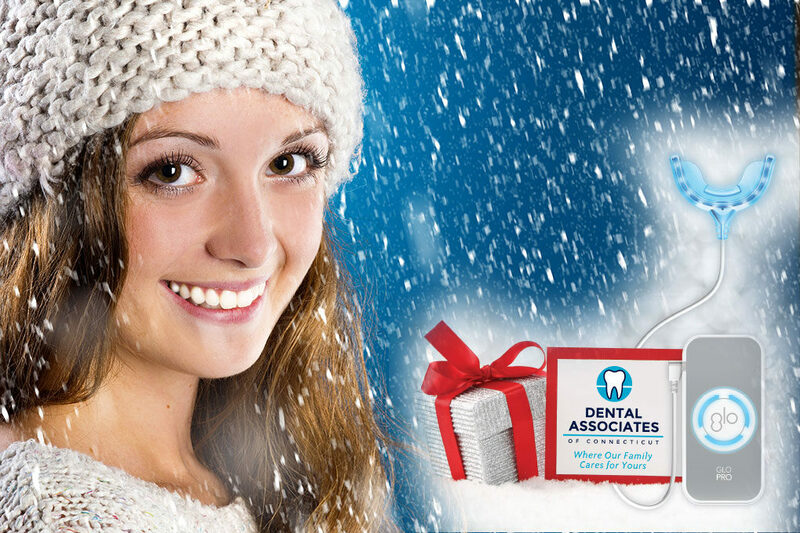 Give them the gift of GLO in-office teeth whitening at Dental Associates of CT. Get dramatically whiter teeth in under an hour without pain! GLO whitening uses a patented combination of warming heat and light technology to speed up the whitening process for safe, clinically proven professional results. Smile! Snow globes for the win! 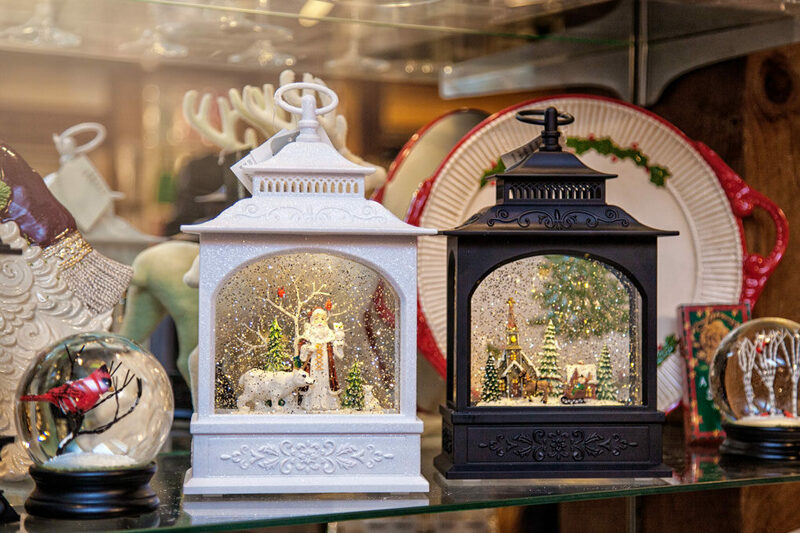 Who wouldn’t want one of these magical winter lanterns to set on their mantle? 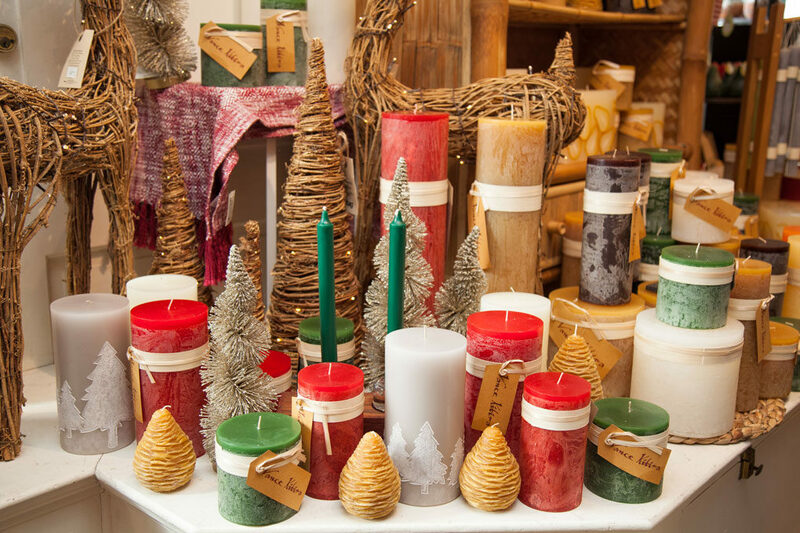 The Fife ‘n Drum gift shop is filled with candles, cashmere wraps, women’s tops including plus sizes, scarves, handbags, jewelry, and ornaments. Phew! Oh, and don’t forget the Christmas crackers, a fun holiday tradition from the UK. 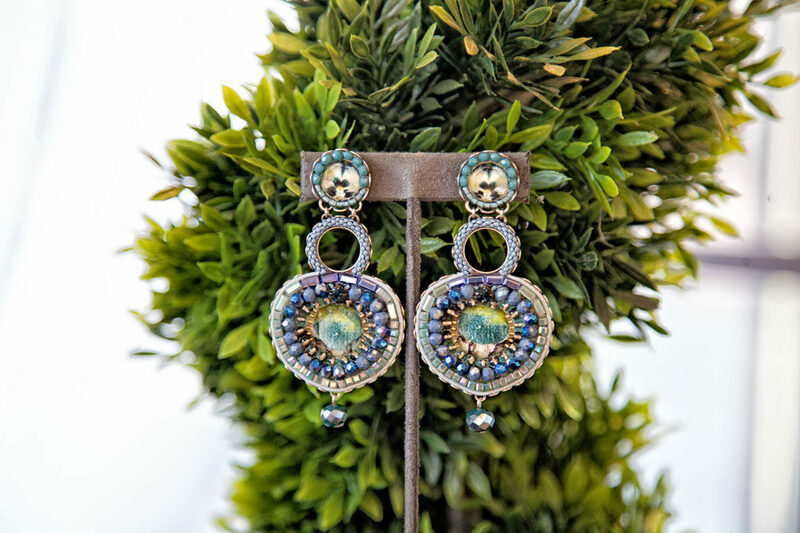 Show them that you know a thing or two about what’s on trend and get these beautiful chandelier earrings from Robertson Jewelers in New Milford. The Ayala Bar line is handmade, comes from Israel, and is everything! Perfectly priced to be worn daily, and just the thing for the holidays. Just one of many gorgeous finds in this jewelry store. Sparkle and shine! Newbury Place in Washington Depot is a small but mighty gift store brimming with, “Yes! That’s perfect for _______”. 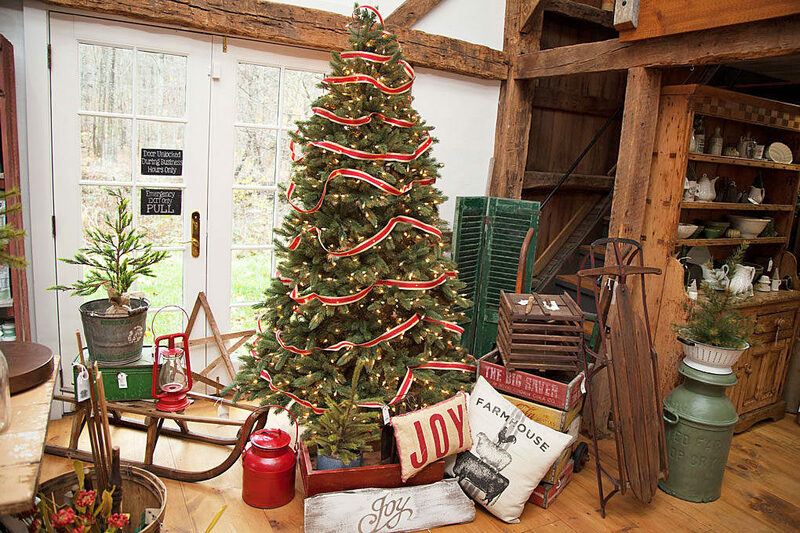 Just like their sister stores in Southbury and Essex, they’ve made checking off your list a breeze! The selection of greeting cards had us cry-laughing, and their gift wrapping is adorable. So, my only problem is that I want to do all the Xmas shopping FOR ME!!!! What a great mix of places to visit! Ho Ho Ho!